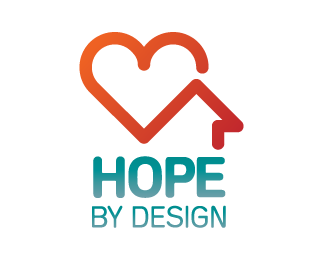 This is an entry for HOPE by DESIGN a company whole renovates homes for people who had a tough time to make them happy again. My logo concept shows a Heart and a house however you can also see the heart as a cloud next to the house. Its a simple clean logo about a lovely or loving home. However I did not won the contest, so this design in available and if there is any interest in this logo please contact us.